Perhaps it’s the beginning of the week, and you’re feeling particularly sluggish after an indulgent weekend. Maybe your normal midday slump is hitting you harder and harder each day or maybe you just feel “off” — a slight headache, a bit of fatigue, a little extra bloating. Well, the solution to any of these problems — and many more — might just be a detox. Detoxing is a terrific way to clear out the toxins that are accumulating in your body and making you feel like crap. Eliminating those toxins can then help reduce inflammation, which is at the root of most diseases, while also boosting energy, brightening skin and helping you feel and perform better overall. You’re probably familiar with many healthy detoxing methods, including the healthy ones — like short juice cleanses, hitting the sauna or sipping lemon water — as well as the not-so-healthy ones, like those that eliminate nearly all nutrients for days and days. But maybe you’ve done your fair share of green juice fasts and are looking for new ways to kick those toxins out. And in that case, you should try these four unusual — but still healthy! — detox strategies. Diatomaceous earth, or DE, is an all-natural white powder made from the fossilized remains of small aquatic creatures known as diatoms. And even though the thought of consuming dead sea animals may sound less-than-appealing, when it comes to detoxing, DE is tops. The naturally occurring silica in DE kills parasites and viruses, reduces oxidative stress, cleanses the digestive tract and attaches to free radicals and other toxins in the blood so they can be flushed from the body. Best of all, DE has no flavor or odor, so it’s easy to add a teaspoon to your favorite smoothie or mix with your salad dressing. A salt water flush is one of the best ways to do an at-home colon cleanse on the cheap -— but you’re going to want to stay close to home for this one. By chugging a mixture of sea salt and water, you’ll force deep-cleansing bowel movements thanks to the contractions of the muscles in your digestive tract, which will force out waste and toxins that have been trapped in the colon for some time. Afterward, you may find that you feel more energetic and less bloated, and going forward, symptoms of constipation should be reduced. It’s best to do a salt water flush first thing in the morning, when you have an empty stomach, and you should also be sure to use high quality sea salt or pink Himalayan salt. Dandelions might be annoying in your garden, but they’re wonderful for a detox and have been used for centuries for their liver cleansing and diuretic abilities. The liver’s main function is to produce bile, which works with enzymes to filter toxins out of our blood. Dandelions help keep that flow of bile running smoothly throughout the body, and as the liver metabolizes fats and cholesterol, the vitamins found in dandelions give the liver a boost so it can keep doing its job properly. Dandelion also acts as a natural diuretic, literally flushing out toxins from the liver. In the process, it also reduces inflammation, balances blood-sugar level and eases digestive troubles. Add it to your tea by steeping the root or the flowers for half hour in boiling water. Or you can buy pre-made dandelion tea from your favorite health food store. You might’ve slathered a clay mask on your face, but if it’s a detox you need, you can also ingest bentonite clay. This clay has magical-seeming properties that create an electrical charge when it reacts to liquid. This allows the clay to seek out toxins and heavy metals in the body, then bind to them and, finally, draw them out of your gut and skin. Try adding ½ to 1 teaspoon of bentonite clay to a glass of water, stir to dissolve the clay and drink immediately. If you’re nervous about drinking it right off the bat, you can add ¼ cup of clay to your bath and massage your skin with the clay water. Share the post "4 Detox Strategies You Probably Haven’t Tried (But Should)"
How much salt per water should you do for the salt flush for it to be safe and effective? Activated Charcoal should be on this list. My thoughts…I work for a company that makes catalyst that is used in refineries to covert heavy feeds into gasoline and other chemicals that have various uses within the petroleum industry. 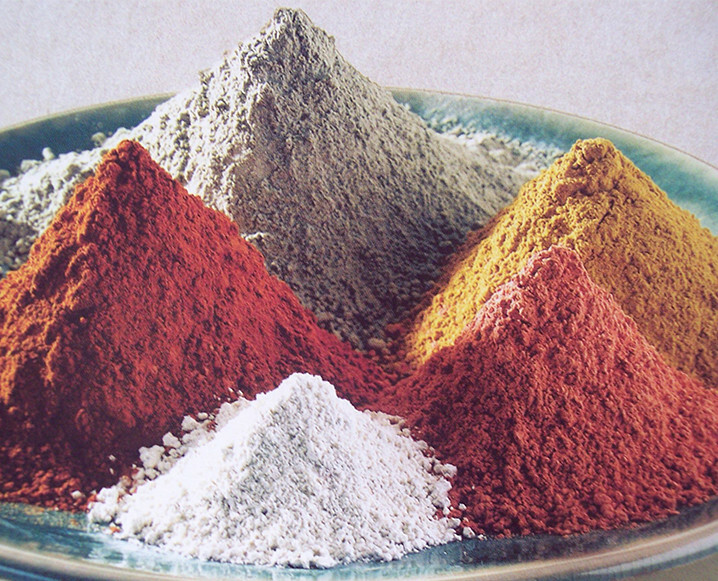 The different catalysts that we make has diatomaceous earth and bentonite clay in them. I’m pretty sure if I decided to ingest this catalyst at work I would be fired, so why would I want to put these things in my body to detox? Not to mention that one of the ingredients in diatomaceous earth is a lung irritant. Where do people get these ideas? If you want to detox, why would you consume silica and clay? Also, drinking salt water is just going to impede your kidneys in their actual purpose of removing bad things from your blood. Best case scenario of any of this is that you pee more and don’t cause lasting damage. I would not suggest eating bentonite clay or diatomaceous earth. Better choices include zeolite clay and terramin clay. All others contain heavy metals. The advice keeps getting worse and worse on these “green” sites. I would assume someone on a salt restricted diet or heart diesease would avoid the salt cleanse? A colonic therapist who I really respect has said in the past that bentonite clay gets stuck in the colon & she sees clients who have large deposits of it which have adhered to the colon wall having used it for detox purposes. This is a great article but I think you should consider 2 sustenance in your list match green tea and activated charcoal.